discoverPorlezza.com - Porlezza Hotels, Porlezza Self Catering, Porlezza Accommodation. There is not an abundance of hotel accommodation within Porlezza as this is a small town. There are however some excellent places to be recommended. As with all accommodation it all depends on what your requirements are; views, space, swimming pools, location, food etc. Review the accommodation links below and take your pick! There are not that many hotels close to Porlezza. The two hotels above are popular rand you may check availability online. Also please click here to see their locations on a map. 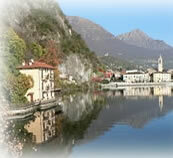 For self catering apartments we suggest you contact Lake Como Homes just over the hill who will be able to recommend and help you locate suitable accommodation within the Porlezza area. Porlezza is particularly popular with Dutch and mainland Europe nationalities and is very convenient for Switzerland and Italy! Please click here for more information.